The Fermi paradox has long troubled people who wonder if there is life elsewhere in the universe. The paradox relies on two evident facts, both of which have become very much more evident since Enrico Fermi first posed the question which took his name in 1950: “where is everybody?”. The first fact is that it appears that there are very many potential sites for life to emerge in the universe; the discovery in recent decades of hundred of planets of other stars emphasizes this point. The second facts is that there is no evidence of any intelligent activity to be detected outside our own planet, despite decades of searching for radio, and other, signals, artefacts, and other evidence. In particular, the question has been posed as to why we see no evidence to our own solar system by robotic probes, given that the most conservative calculations suggest that the galaxy should have been thoroughly explored by now. A variety of answers have been given, summarized nicely in Stephen Webb’s book Fifty solutions to the Fermi Paradox. Among the more commonly accepted of these are that: while life may be common, intelligent life is very rare; or, more chillingly, that some factor invariably intervenes to destroy or degrade civilizations before they can engage in widespread space exploration; or perhaps, more optimistically, advanced civilizations invariably reach a ‘singularity’, and turn into something we cannot comprehend, but which is not interested in space exploration. A new paper from Michael Lampton of UCLA’s Space Sciences Laboratory gives a new, and for me interestingly information-related, perspective. He proposes that advanced civilizations may all do just as ours seems to be doing, and pass through a transition, becoming largely information-driven societies. Specifically, they will gain the ability of acquire very detailed information of very distance locations by remote sensing, and then to be able render them almost perfectly in an immersive artificial reality. Why then go to the trouble of sending an automated probe to another star system, still less travel there yourself, if you can find out essentially everything about it remotely, and then ‘go there’ through immersive simulation? Lampton argues that for such a society, gaining knowledge would be the raison d’être, and this could be done entirely remotely. There would be no interest in the main motivators of pre-transition exploration – conquest or trade or gaining raw materials – and hence no need for physical presence. 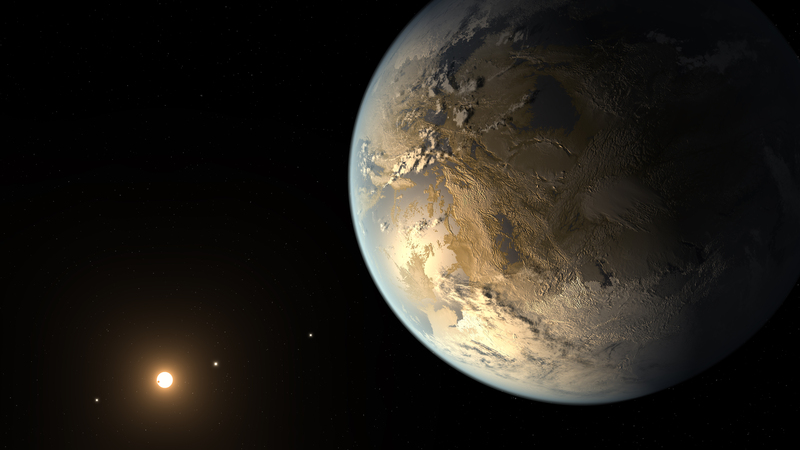 Artist’s impression of planet Kepler-186f; a first step toward telepresence? 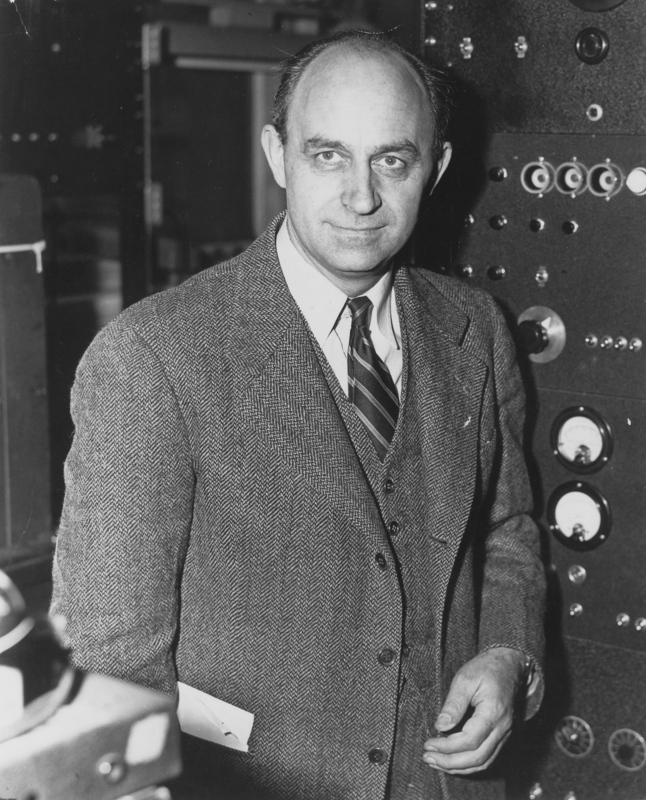 Although Lampton does not suggest it, a logical follow-on assumption would be that such an information-driven society would have developed tools for long-range communication which are far more directed and less ‘leaky’ than radio or laser signaling; which would account for the failure of the SETI initiatives to detect anything. If so, there could be many conversations going on between the stars which we would have no hope of detecting. So, the answer to the question “where are they?” may be that they are present virtually’; of course, in a version of the Earth corresponding to our past, assuming whatever form of sensing is used does not contravene Einstein’s injunctions against information being conveyed faster than light speed. Remarkable, the strange places that thinking about the centrality of information gets you.